Today was the last day, Day #7, of Chocolate and Colombia Theme Week, and the dawning (Day #1) of Chocolate and Italy Week. In the Sierra Nevada de Santa Marta region of (Northern) Colombia, there is a lost city (Ciudad Perdida), the site of an ancient city, older than Machu Picchu. This city is also known by local indigenous people as Teyuna. Criollo cacao grows not too far from the ruins of this lost city. Criollo is one of the oldest types of cacao, and could have become "lost" over time. This fine flavored cacao, that bears smaller fruits, and yields light-colored beans with intriguing, subtle flavors, has survived in the forest, or "up river;" and has been re-discovered, more than once, by discriminating chocolate makers. Most chocolate is made from more robust cacao types (Forastero, Trinitario, other hybrids). Criollo cacao represents a very small fraction of what is used in chocolate at present. 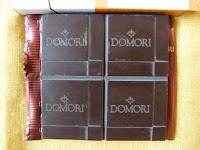 However, it was used to make today's Teyuna Colombia Dark Chocolate 70% Cacao bar from Domori* (None, Italy). This slim square bar had smooth and interesting flavor that I had a hard time identifying. The following contains the closest series of descriptors I could manage: very subtle hints of cream, fruit, cherry, very mild fruitcake, and bread. From the first visit Domori founder, Gianluca Franzoni, made to a cacao plantation with rare Criollo cacao back in the 1990s, he sought to "rescue" prized, fine flavored cacao in regions of South America where cacao originated. And he"sought to bridge the gap between grower and chocolate maker." After all, you can't have great single origin bar without great cacao; and great cacao starts with the farmers and the trees. 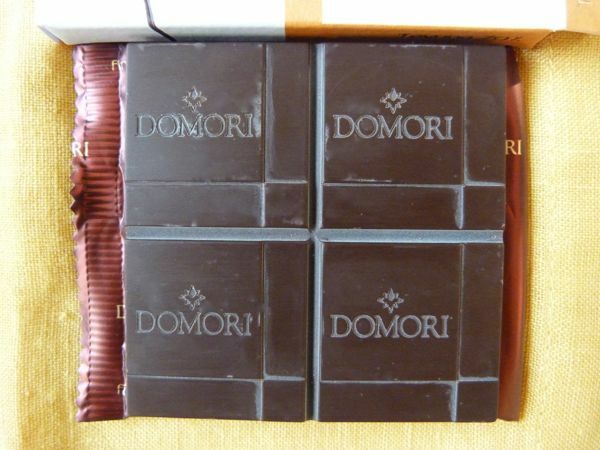 *Domori became part of Illy SpA group in 2006.